This product uses industrial-grade integrated ultrasonic probe design, waterproof, stable performance, all the MCU on the market. 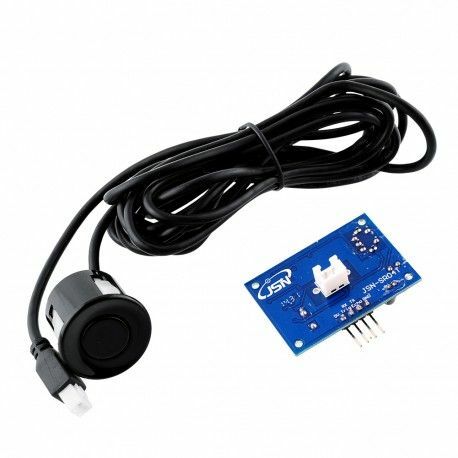 The module ultrasonic distance measurement module can provide 20cm-600cm non-contact distance sensing function, ranging accuracy up to 2mm; module includes the transceiver of one of the ultrasonic sensor and control circuit. Mode one usage and the Division’s HC-SR04 module. the output method of diversification, pulse width output, serial output.